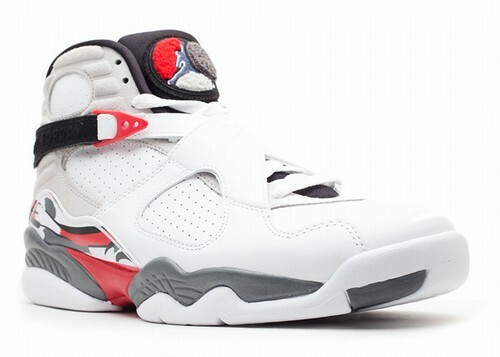 This is the Air Jordan VIII (8) Retro coined the "Bugs Bunny" edition which features a white, hyper blue, true red, and flint grey color way. This pair was nicknamed the Bugs Bunnys mainly due to Nike and Warner Bros' relationship during the early 1990's from the Air Jordan VII (7) TV commercials that featured Bugs Bunny as MJ's sidekick on the court to the release of Space Jam in 1996. In the ad for the AJVIII (8) MJ and Bugs are up against Marvin The Martian, while MJ is wearing the "Aqua 8s", Bugs Bunny has a custom rabbit version of the 8s in this color way. 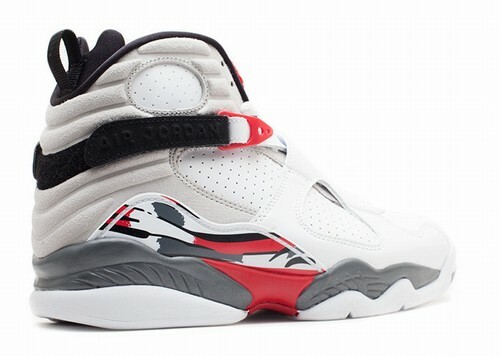 The return of the Air Jordan VIII (8) has been highly anticipated since before the AJ Countdown Pack release.